Featured in Chicago Magazine as one of the "Top Attorneys in Illinois Rising Stars." This distinction was made by his peers, and is an award given to less than 2% of all attorneys in Illinois. Recognized as an "Emerging Lawyer" by the Leading Lawyers Magazine. This distinction was based upon a survey of his peers. This recognition is given to less than 2% of all attorneys in Illinois. Named as one of the "Top 100 Trial Lawyers" in the nation by the National Trial Lawyers Association. Michael handles all aspects of personal injury law including car accidents, slip & falls, construction accidents, nursing home neglect, medical malpractice, trucking accidents, bus accidents, dog bites, and other injury cases. representation at no cost out-of-pocket. Michael is a personal injury trial attorney who has obtained millions of dollars in jury verdicts and settlements for his clients. For a free consultation, you may contact Michael at (312) 909-2129. In February 2016, Michael was featured in Chicago Magazine as one of the "Top Attorneys in Illinois Rising Stars." This distinction was made by his peers, and is an award given to less than 2% of all attorneys in Illinois. Also in 2016, Michael was recognized as an "Emerging Lawyer" by the Leading Lawyers Magazine. This distinction was based upon a survey of his peers. This recognition is given to less than 2% of all attorneys in Illinois. Michael has also been named as one of the "Top 100 Trial Lawyers" in the nation by the National Trial Lawyers Association. Michael handles all aspects of personal injury law including car accidents, slip & falls, construction accidents, nursing home neglect, medical malpractice, trucking accidents, bus accidents, dog bites, and other injury cases. Representing injured victims provides satisfaction that cannot be found in many other areas of law. Most often, my clients are coming to me during the most difficult times in their lives, and placing their trust in me to help guide and advise them through an unfamiliar process. There is no better feeling for me than to be able to get a client maximum compensation and allow them to regain control of their normal life. I am a trial lawyer with a proven record of success. Most lawyers do not have courtroom experience, and do not know what it takes to fight against insurance companies and corporations who are trying to avoid paying the client any money. I have secured millions of dollars for my clients and have excellent reviews to show the level of appreciation my clients have found in my work. Results and connection with the clients. I have worked at large law firms that handle heavy volume, which takes away from the level of attention each case gets. At Shammas Law Office, I personally handle every client's case from the initial investigation through the settlement or trial process. Clients are guided through the process and regularly updated on the status of thier case. 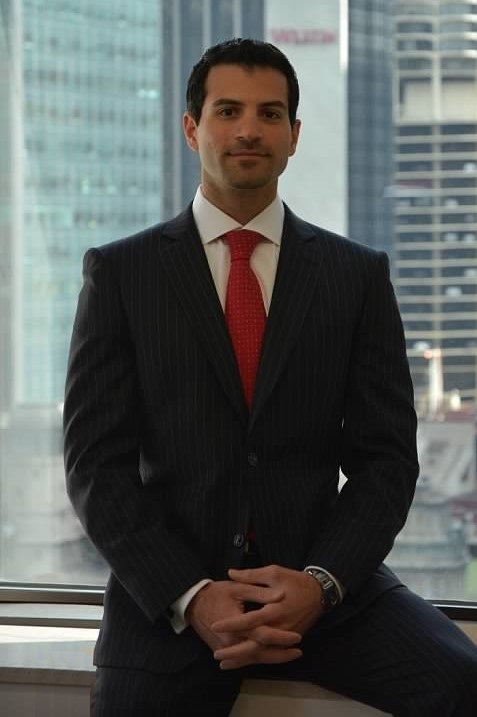 In February 2016, Michael was featured in Chicago Magazine as one of the "Top Attorneys in Illinois Rising Stars." This distinction was made by his peers, and is an award given to less than 2% of all attorneys in Illinois. Also in 2016, Michael was recognized as an "Emerging Lawyer" by the Leading Lawyers Magazine. This distinction was based upon a survey of his peers. This recognition is given to less than 2% of all attorneys in Illinois. Michael has also been named as one of the "Top 100 Trial Lawyers" in the nation by the National Trial Lawyers Association. Michael handles all aspects of personal injury law including car accidents, slip & falls, construction accidents, nursing home neglect, medical malpractice, trucking accidents, bus accidents, dog bites, and other injury cases.